The sacred hymnographer of the service of the Saint, who was the great hesychast and Patriarch of Constantinople Saint Philotheos Kokkinos, a fellow monk of his on Mount Athos and later biographer, gave Saint Gregory many ornamental epithets, showing his great value. In one hymn he writes about him: "Rejoice, boast of the Fathers, mouth of the Theologians, the tabernacle of quietude, the house of wisdom, the pinnacle of Teachers, the sea of words put into praxis, rejoice instrument, pinnacle of theoria." Of course, the Church celebrates the memory of every saint on the day of their repose, which is the day of their birth, and the commemoration of Saint Gregory Palamas is on November 14. Today, however, it is established for the memory of Saint Gregory Palamas to be celebrated because the Church considers today's Sunday as a continuation of last Sunday, according to the ecclesiastical calendar, which shows the great importance of the teachings of Saint Gregory. As you know, last Sunday we celebrated Orthodoxy with the restoration of the sacred icons. This has great significance, because all the Christological and Soteriological dogmas formulated by the Holy Fathers are shown in the iconography of the person of Christ and His friends, who are the saints. The way Christ is depicted in iconography shows that He is true God and true man, and not a creation of God, and in His person were united without change, without confusion, without division and without alteration the divine and human nature, that the God-man Christ has a divine and human will, and for this reason He is the Savior of Humanity. With this it is shown that Christ is the Light of the World, the Savior of Humanity. It is also shown in sacred iconography that man can partake of the uncreated Grace of God, be united with Christ and attain deification and sanctification. The dogma of the Incarnation of the Second Person of the Holy Trinity and the deification of man is shown clearly in the sacred icons depicted by Orthodox iconographers. All persons who are associated with Christ, even this creation, are found in the uncreated Light. The Second Sunday of the Fast, namely today's Sunday, according to the ecclesiastical calendar is a continuation of last Sunday, because the Church wants to show us how we can join in this glory of Christ, how we can become friends of Christ, how we can attain deification according to Grace, how we can be united with Christ; in other words, how to enter the sacred icon and join with all the other persons who are depicted in the glory of the Kingdom of God. So, the point is not to simply venerate sacred icons of Christ and the other icons that show the stages of the divine economy and the icons of the saints, but how to participate in this festival of the saints in the eternal uncreated Church, the Church of the first-born inscribed in heaven which is described, as much as humanly possible, in Orthodox icons. In other words, the problem is how these doctrines can become an experience in our lives. We do not have food to leave it on the shelves of the kitchen and preserve them in the refrigerator, but we must eat them that they may be nourishment and blood and to enrich our lives with calories and vitamins, that we may live. It is the same with doctrine, which do not exist that books may be written, or to place in our icon corner, or to honor and reverence them, to know them intellectually and to celebrate festively, but that we may struggle in how to make these our spiritual food, how we can enter our spiritual body and gain a personal knowledge of how Christ is the God-man, that the saints were not simply good people, but friends of Christ who participate in His glory. At this point we can see the value of the teachings of Saint Gregory Palamas, which is why the Church puts him at the forefront today. With all his writings he teaches us not only who Christ is, but how one becomes linked together with Him; not what is deification, but how one can experience deification in their personal life; not what is the Church, but how one can become an authentic and glorified member of the Church. This is the reason why in the Synodikon of Orthodoxy, part of which was read last Sunday, the first section refers to the theology of the sacred icons and Orthodox dogma in general, as recorded at the Seventh Ecumenical Synod, and the second section refers to the teachings of Saint Gregory Palamas and especially the Light of God that was seen by the Apostles on Mount Tabor, as recorded at the Ninth Ecumenical Synod, and this refers to the methodology of Orthodox doctrine, namely how dogma can become life. The entire teaching of Saint Gregory Palamas can be seen in his work titled "Defense of the Sacred Hesychasts", otherwise known as "The Three Triads". There we can read that the knowledge given by God is higher than human knowledge, and that the Prophets and Apostles override the philosophers. That prayer, especially noetic prayer, illumines the soul of man and the eye of his soul which is the nous, but it also sanctifies the body. That the deep purpose of man is to attain deification, the vision of uncreated Light, as we see in the lives of all the saints, which is why around their heads is depicted a halo. This teaching is not simply a teaching of Saint Gregory Palamas, but the teaching of the Orthodox Church as it was expressed by the Prophets, the Apostles, the Fathers and the saints through the centuries. This teaching was adequately recorded in both the Old and New Testaments, the Apostolic Fathers of the first centuries, and in general all the Fathers. We find this teaching in the Synaxaria of the Saints, as well as in the hymnography of the Church. We find this entire teaching in the Divine Liturgy, as well as the prayers of the Mysteries of the Church. This is the deepest purpose of the Divine Liturgy and the other Mysteries. Every science has theoria (vision) and praxis (action), theoretical teaching and application, the presentation of doctrine and its verification. This also takes place in Orthodoxy. 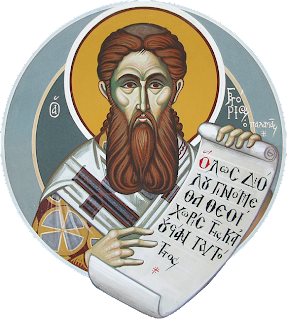 Theoria was given on the First Sunday of Great Lent with the feast of Orthodoxy and the restoration of sacred icons, and the verification and validation of it is presented with today's feast of Saint Gregory Palamas, whose hesychastic tradition shows how we can verify all doctrines through our life. In our days many people, even those baptized, have doubts about God and His existence, about the Church and Her mission, about the saints and their lives. People today are practical and want to verify everything the Church teaches. They do not want to simply follow a tradition they found through their grandparents and parents that develops into maintenance, but they want to live it at its inner core. This is because the maintenance of tradition without living it, the cerebral knowledge of that which is established without approaching it experientially, especially at its inner core, does not satisfy those who hunger and thirst for the meaning of their lives. Also, nowadays everyone talks about what love is, but the problem is how one can acquire true love. Everyone talks about God and what God is, but few talk about how to attain a personal knowledge of God. Everyone refers to the saints and what are the saints, but few indicate how they can become saints. Many make mention of Orthodox art, icons, churches, music and hymnography, but few show what is the depth of ecclesiastical art and how one can enter within an icon and experience its glory, how to enter the uncreated Church, the Kingdom of God, and how one can participate in the liturgy of the angels and sing hymns with them. This "how" is indicated in the teachings of Saint Gregory Palamas, which is the summary of the entire teaching of the Church. And this "how" is experienced with asceticism which is the life of crucifixion, the crucifying of the passions and desires, which is the subject in the ecclesiastical calendar for next Sunday, the Sunday of the Veneration of the Cross. Thus Orthodoxy, hesychasm and the life of crucifixion lead to the experience of the Resurrection of Christ. 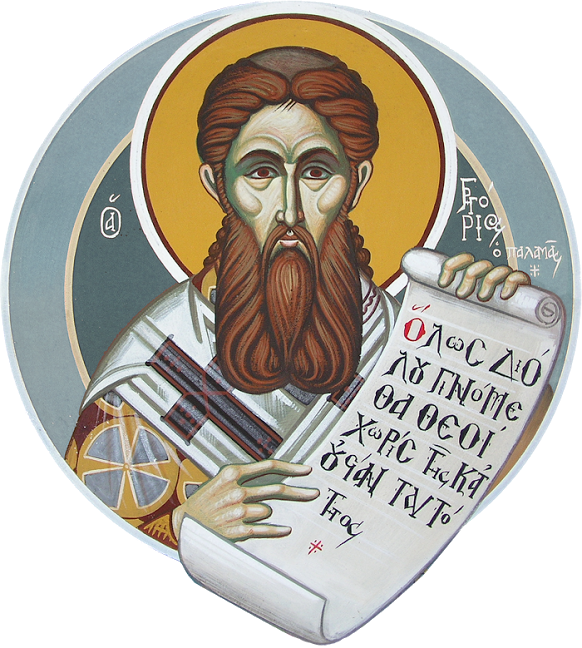 Ecclesiastical life, beloved brethren, is not only about the surface, what can be seen, and what can be expressed through reports, analysis and scandals, but it is especially manifested through that which cannot be seen, from that which was experienced by the saints and written by Saint Gregory Palamas. This Saint experienced God personally, praying the "illumine my darkness", and he truly taught it with his confession of faith. For us it is an honor to come to know him through his writings, it is a blessing that we were taught and learned the hesychastic tradition, and it is a challenge for us to experience it in our personal life, that we may see in actuality what God is, what Orthodoxy is, what a sacred icon is, and how we can participate in the glory of the Church and the glory of the sacred icons. All of us should study the life, deeds and teachings of Saint Gregory Palamas, because in this way we will learn the "hows" of the spiritual life and we will find the method by which we will solve our existential and spiritual problems and we will come to know God. In conclusion, as Metropolitan of this Sacred Metropolis, I wanted to thank His Beatitude Archbishop Ieronymos of Athens and All Greece and the Director and staff of the radio station of the Church of Greece, for giving me the opportunity today to transmit the Divine Liturgy from the Sacred Church of Saint Paraskevi in Nafpaktos. May God bless us all. Source: Ekklesiastiki Paremvasi, "Η σημασία τής διδασκαλίας τού αγίου Γρηγορίου τού Παλαμά", March 2010. Translated by John Sanidopoulos.